Yesterday I jointed, planed, and biscuit cut some boards and am planning on gluing today. I inserted the biscuits and my boards and they seem to be uneven, I made sure the boards were flat on the table when biscuit cutting and was planning on making a final pass through the planer, but now seeing as both sides might be uneven after gluing, can I pass the board through the planer on both sides? I made sure there was enough thickness to cut down in case something like this happened, so I'm not concerned about thickness. Just want to know if it will be equally thickened if I were to pass them through the planer on both sides after they've been glued and dried of course. also, i cant jointer first because after gluing my boards, the width became too big for the machine. but now seeing as both sides might be uneven after gluing, can I pass the board through the jointer on both sides? With one flat face, you can now put the flat face down on your planer bed and pass it through to flatten the opposite face. Since you already have one flat face to index off of, your planer will cut the opposing face parallel to the flat face. Just want to know if it will be equally thickened if I were to pass them through the jointer on both sides after they've been glued and dried of course. Running a board through a jointer on opposing faces does not guarantee that the faces will be parallel to each other. This is because the cutting action of the jointer is controlled by how you feed the piece through, and it's next to impossible to do this accurately by hand. This is why planers exist. Please have a look at some how-to videos on jointing and planing for a more visual explanation. This process can also be done by hand if you have the tools and the patience. A planer sled can be use with a planer to effectively joint (make flat) one side of work that's too wide for your jointer. Once you've flattened one side, you can flip the work and run it through the planer with the flat side down (no sled required) to flatten the other side and ensure that it's parallel to the first side. The key to the sled is that it provides a flat reference surface. You insert shims between the work and the sled to prevent the planer's feed rollers from pressing the work flat. 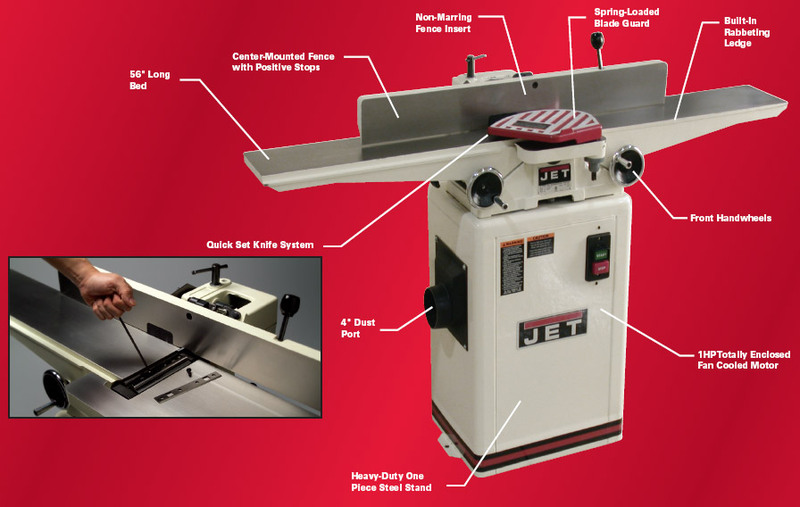 The question remains why are your surfaces uneven if they passed over the jointer and then with the reference surface created by the jointer on the bed of the planer you should have two flat parallel surfaces. Nonetheless, I would have placed my reference surface down on my bench and clamped it flat before cutting the biscuit slots. I think this would prevent this problem in the future. Planner sleds work well for others. When I build large glueups like table tops I take them to a local shop that has a wide belt sander and have them cleaned up. Depending on the level of finish desired I will hand plane afterwards. Warning: I have been told over and over the the sander leaves abrasives behind that will dull your planes but I have not had that experience. Good luck with your project!